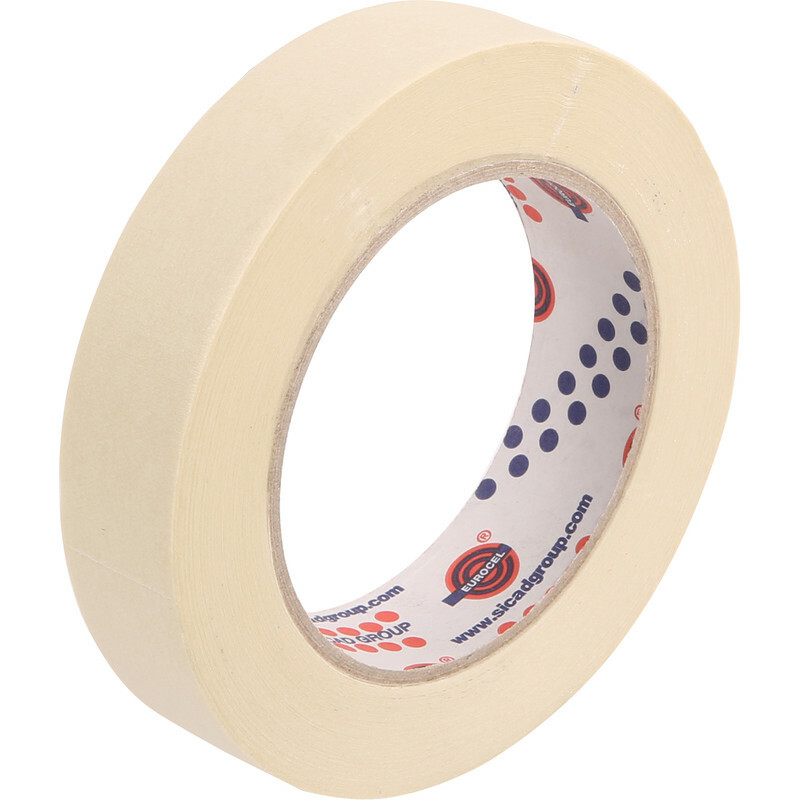 A quality trade general purpose masking tape with good adhesion. Suitable with most paints and varnishes. Eurocel Masking Tape 25mm x 50m is rated 4.5 out of 5 by 42. Rated 5 out of 5 by rcolli30 from Great tape Used to cover carpet by skirting boards no paint bleed at all. Would use again. Rated 5 out of 5 by Dketty from Good quality! It's only masking tape but it's of decent enough quality, doesn't rip from the roll like some do, sticks well too, just the job! Rated 5 out of 5 by Kentguy from Great masking tape Always a joy to use, great tape. Worth paying that little extra for. Rated 5 out of 5 by Frankie245 from easy to work with I bought this to keep edges clean when painting. Works well. I have removed it immediately after painting with no stick. Rated 5 out of 5 by England from Brilliant. This is the only masking tape i will use,Cant fault it.